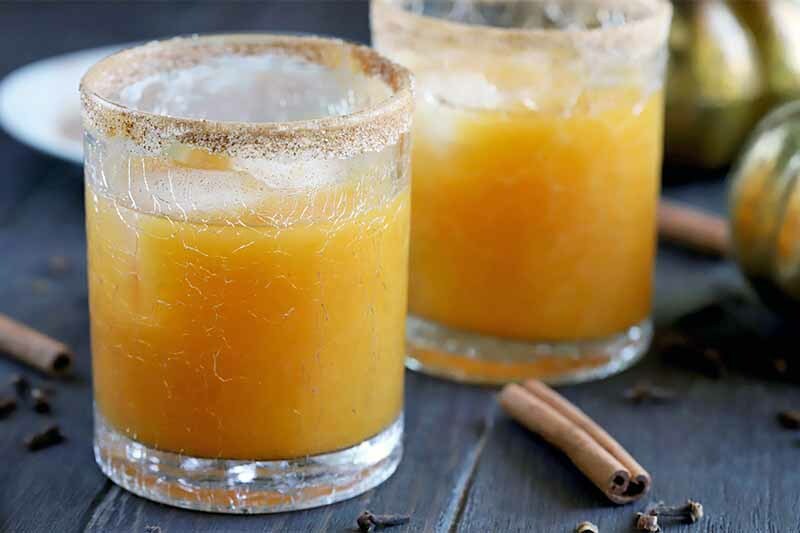 Everything is nice with some pumpkin spice! Summer is over and a brisk but pleasant autumn chill is creeping into the air. The shorts, skirts, and sleavless shirts are being packed in boxes for next season, and nice soft comfy sweaters are being pulled out of storage. Wood is being stocked and seasoned for that cozy fireplace and backyard pit. And for the next step? 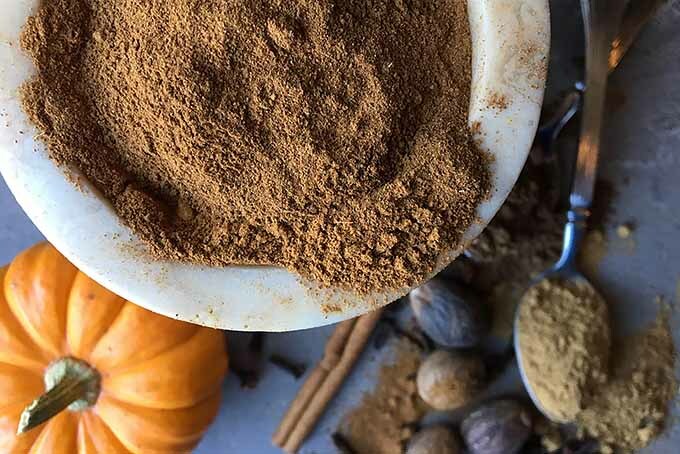 Find all the best fall pumpkin spice recipes that use this delicious spice mix to bring the taste autumn right to your tongue. 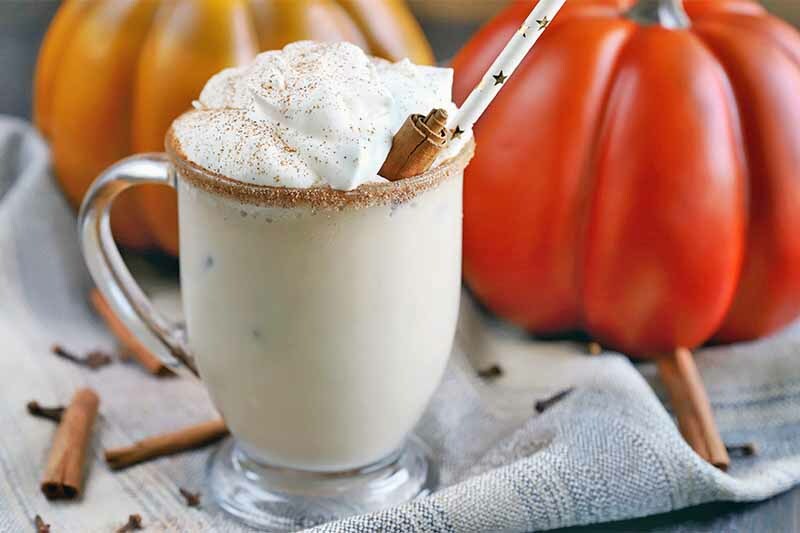 Listed below are 15 great recipes that will help you take the taste of autumn to the next level. Make your tongue cozy comfortable now! 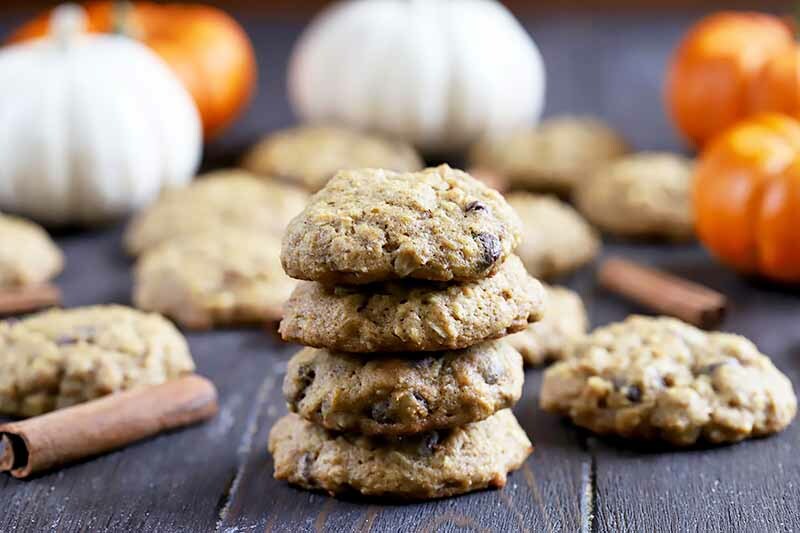 Pass the milk and load up on a few chewy chocolate chip cookies with pumpkin. The soft and supple cookies are full of warming spices, gooey chocolate, and a surprising pop of oats in every bite. You won’t be able to resist gobbling these up! Make a double batch, just to be safe. Get the recipe now on Foodal. Looking for a seasonal dessert? 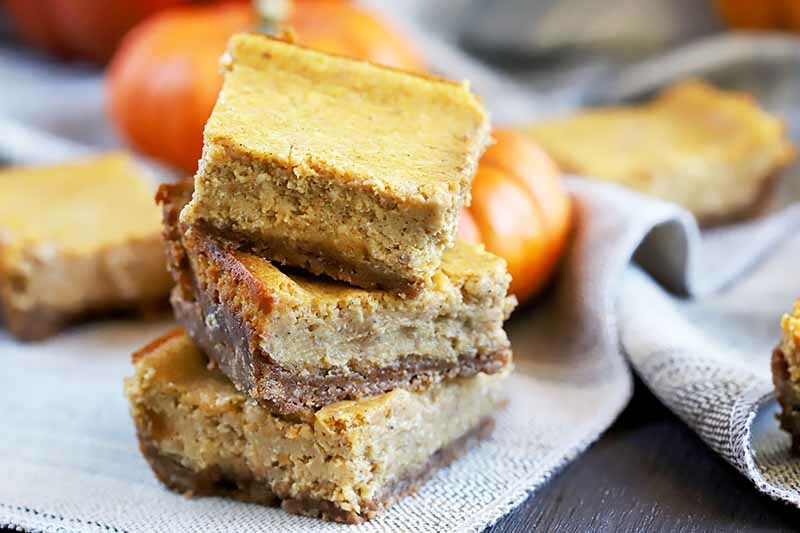 Dive face first into a pan full of the best spiced pumpkin cheesecake bars. The warming spices in the filling taste just like pie with a tangy twist, all on top of a crunchy graham cracker crust. And they’re easy to transport to fall gatherings! Get the recipe now on Foodal. 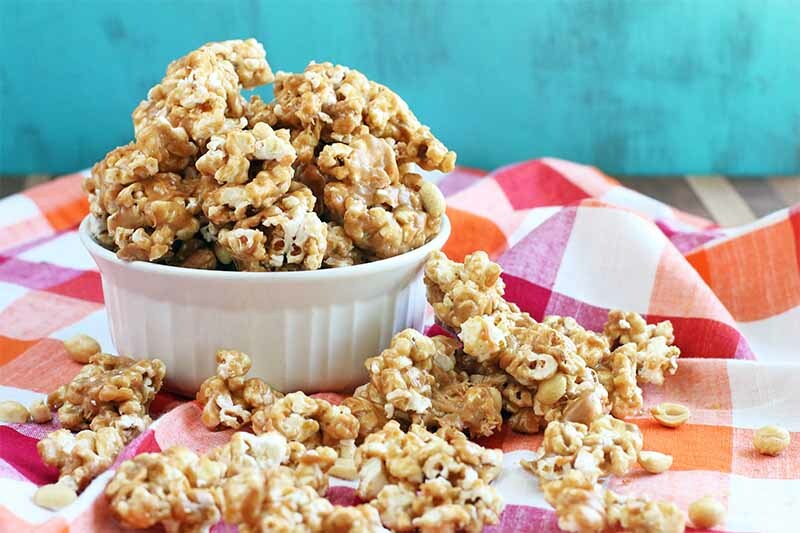 Snacking is an art, and with the best homemade peanut butter popcorn, you will have a masterpiece on your hands. The combination of peanut butter caramel, roasted nuts, and pumpkin spice make this snack a crunchy, chewy blend of amazing flavors. Get the recipe now on Foodal – it’s sure to become your new favorite. In need of an effortlessly elegant fall dessert? 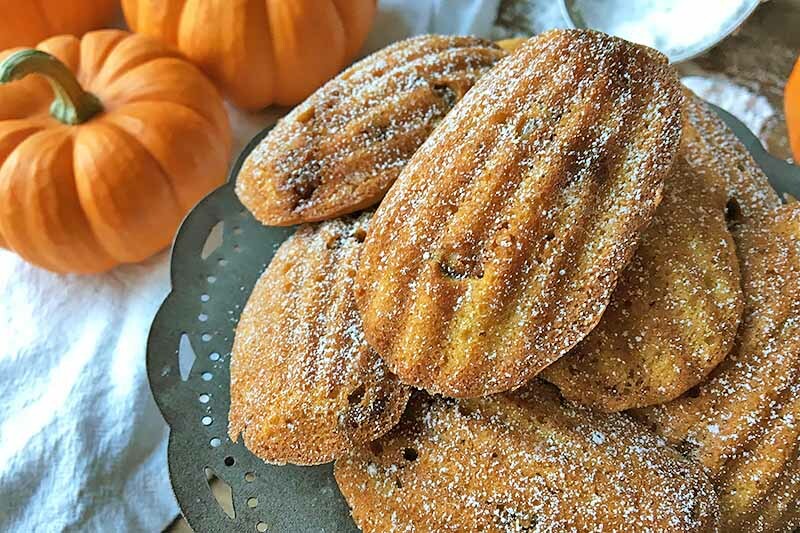 These pumpkin spice madeleines are the perfect recipe. 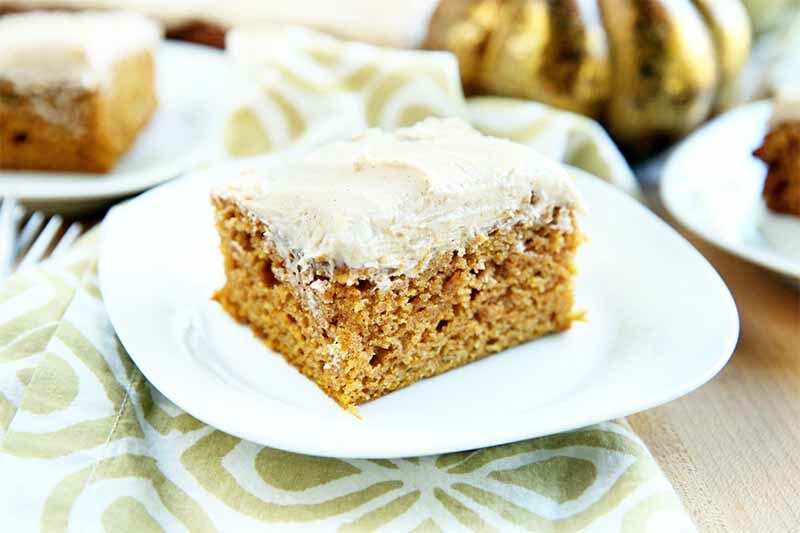 Browned butter flavors a gently spiced, tender pumpkin cake mixed with candied pecans. With a light dusting of powdered sugar, you’ll fall in love with these dainty delights. Learn how to make them now on Foodal. 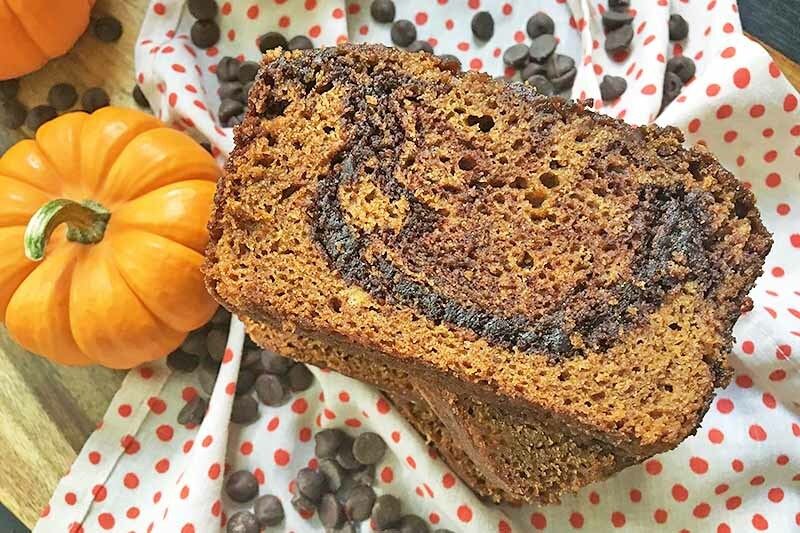 Chocolate swirl spiced pumpkin bread will be on the top of your list of favorite recipes to make this fall. Other than the beautiful swirls of chocolate and the aromatic spices mixed throughout each thick and fluffy slice, the best part about this recipe is that it makes two loaves. Learn how to make it now on Foodal. 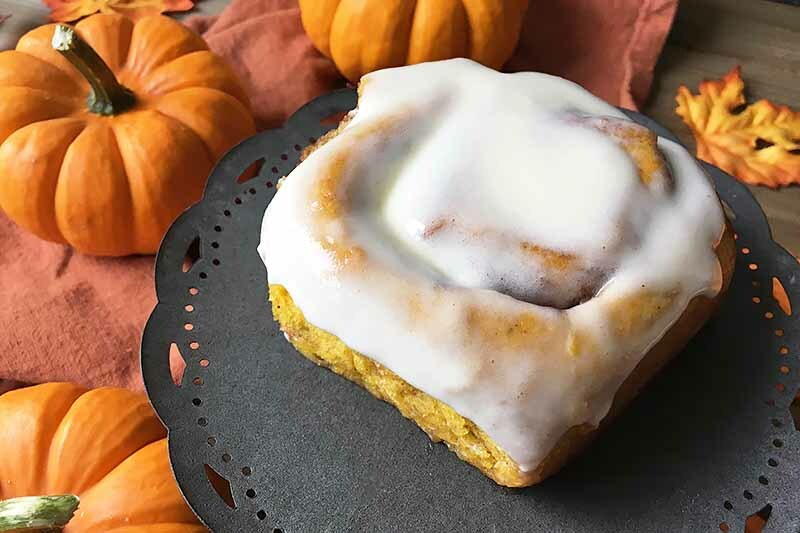 Fresh from the oven, these homemade pumpkin cinnamon rolls are plump and golden. 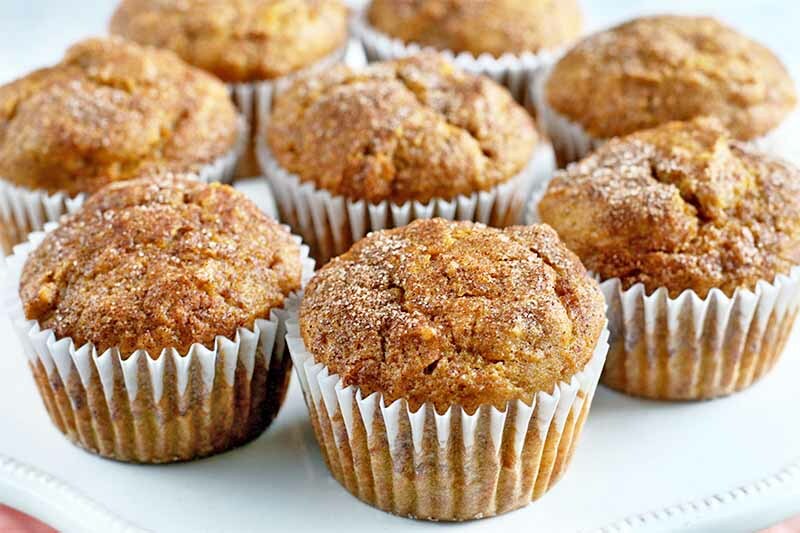 Made with real pumpkin and a medley of spices, they are the epitome of autumn. With a sweet cream cheese frosting that slowly melts on top of each warm roll, you’ll want to make this fall-favorite recipe right now. Read more on Foodal. Now that it’s officially fall, it’s time to bust out the best pumpkin cream cheese to smear on your bagels. 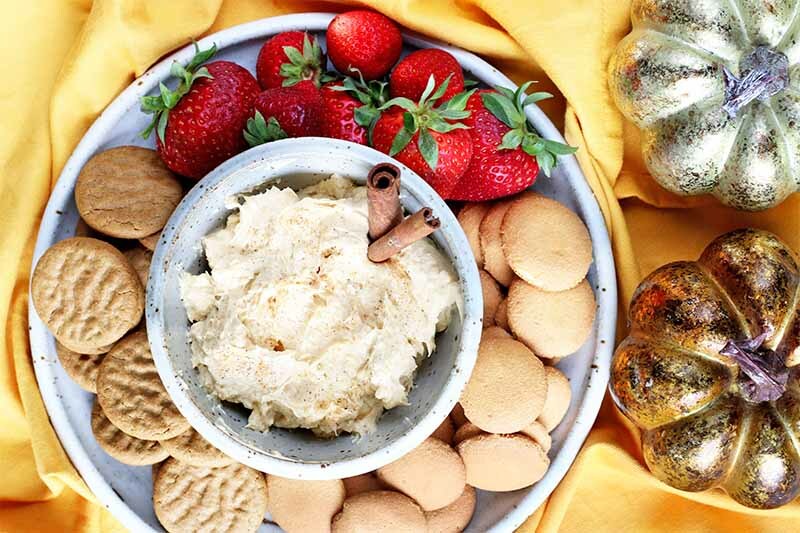 Who needs a pumpkin spice latte when you can indulge in this rich and creamy spread? It’s sweet and savory, with just a hint of tang. Learn how to whip up this recipe in just 5 minutes now on Foodal.